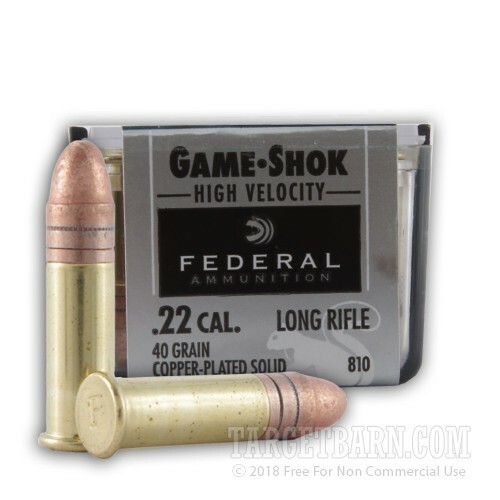 These .22 Long Rifle rounds from Federal are perfect for your semi-automatic handguns, bolt-action rifles, and even single-action revolvers! Federal Premium ammunition is considered a gold standard in the industry. Their products are always made using the finest components while adhering to strict quality control standards. As such, these .22 LR rounds are made using finely rolled casings with sensitive primer mixtures for reliable function with each trigger press. Each round launches a lead round nose (LRN) projectile which weighs in at 40 grains and has a ball-type head for reliable feeding. 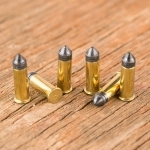 The LRN bullet is commonly used for inexpensive plinking, practice, and even benchmark competition. Shooters can expect minimal expansion when using the bare lead round on small game; while it's not as wide or violent as a hollow-point, the flattening will transfer more energy to varmints for cleaner, quicker drops. This also helps preserve pelts for skinning, crafts, and taxidermy.